The spiritual singer says the new project will feature collaborations with world music masters. 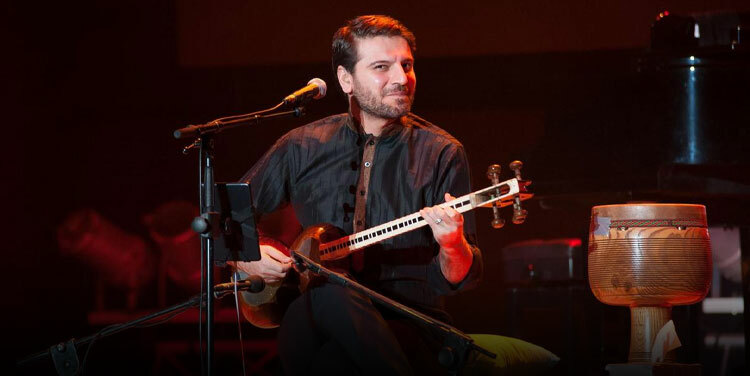 Sami Yusuf will release his next album later in the year. In an exclusive interview with The National in Dubai, the British spiritual singer and composer said work was already under way on the new album including a recording session in the Moroccan city of Meknes. “The album is called Ecstasy. We deliberately chose that name because Ecstasy has this weird connotation. People think it is a drug, but actually ecstasy is a state that people attain or reach when they are going through a spiritual experience,” he said. Yusuf made those remarks as part of an interview discussing his latest release, the experimental six-song EP SAMi. The song collection, with its accessible sounds and direct lyricism, finds Yusuf’s exploring the western sounds emanating from his childhood growing up in London. Targeted towards younger audiences, Yusuf hopes the EP will act as bridge to bring those listeners to his more intricate and esoteric albums such as 2016’s acclaimed Barakah. A frequent visitor to the UAE, Yusuf also revealed that he has a recording studio in Sharjah and expressed his fondness for the northern emirate. “I love Sharjah and I really found solace there,” he said.